Shane Smith and his cousin Jammie Danner have begun compiling dozens of names of former neighbors from their southwest neighborhood due to high incidences of cancer on their street. 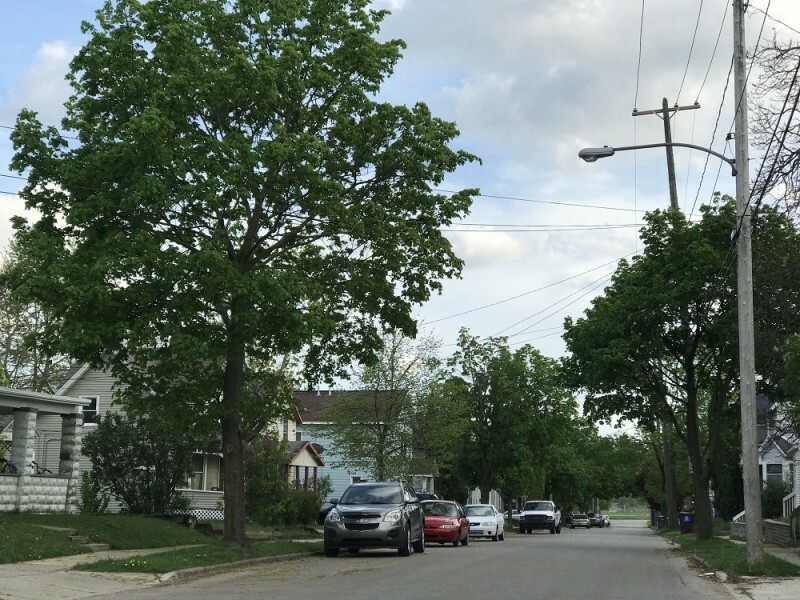 On Monday, May 7, 2018 Shane Smith took his worries about the high rates of cancer among the family and neighbors he grew up with on the block of Indiana Avenue SW between Butterworth and Wealthy public. What had been a sometimes grim joke and private discussion has become a growing public conversation and search for answers. “There’s so many cancer deaths, so many people coming down with cancer all on that one stretch of block. It’s just been kind of a running joke for years, whether there’s something in the soil that people are getting cancer from?” asks Smith. But then the dark humor turned serious as the numbers grew. "My dad passed away from pancreas cancer, my uncle passed away from pancreas cancer, my grandma passed away from lung cancer. And then multiple aunts and uncles that had cancer. My cousin died of leukemia cancer. It started out with the lady down the road, Tina, she passed away and and then the girl across the street, she passed away from cancer. And just on and on and on and on. I got almost a dozen people in my family have come down with cancer and half of them have died from it,” explains Smith. Smith says the sheer amount of people who have gotten cancer on the block where he grew up turned the conversation to gathering more data from others to try to figure out what has been going on. “Everybody my dad grew up with has cancer. Either beatin’ it or dyin’ from it. That’s no joke. Everyone that grew up on that street,” states Smith. The private group on Facebook which started with 15 people has grown to 70 since he brought the conversation to light in the ‘We are Westsiders’ Facebook group. His cousin Jammie Danner has begun compiling data on everyone who’s had cancer in that area. They have had hundreds of comments and contacts from people who’ve lived on the southwest side and who have had family members with cancer and other ailments. Smith notes that since going public with their concerns, they’ve realized another big worry in the area is neighbors with thyroid issues. 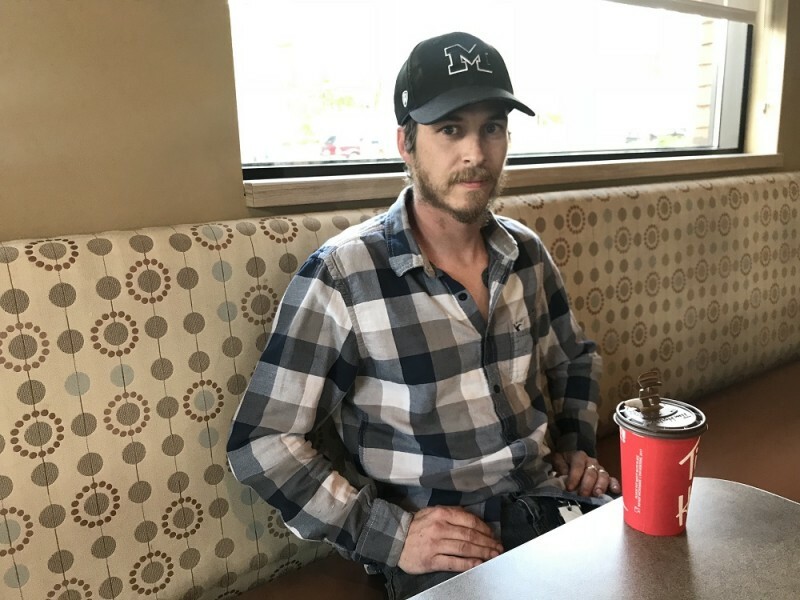 “A good two dozen, three dozen people in that general area that was talkin’ about thyroid disease or having their thyroid removed,” he says. With the huge response garnered from Smith’s Facebook posting, he and his cousins have been gathering more data from neighbors and former neighbors as fast as they can. They are making large spreadsheets noting the addresses where people lived, their relation to one another, how long and when they lived in the area, what kinds of cancer or other diseases they’ve had and whether they are deceased or not. 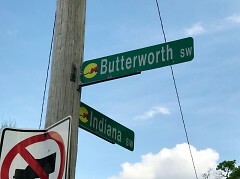 As of May 10, Thursday night, their research indicates that almost 30 people have died from cancer and other diseases on that block of Indiana between Butterworth and Wealthy streets alone. This also includes 27 other people who have or have had cancer and other ailments including thyroid issues, miscarriages and other health issues who are still alive, and 3 former neighbors known to have cancer, but their living status is unknown. This totals almost 60 people from one block who have had cancer and other ailments. “My family, they’re researching now on anything and everything and trying to figure out why? Just trying to raise awareness of it. We don’t know if it’s because of the old dumps since all that stuff with Wolverine [has come out]? We researched that the city didn’t even put a liner in the dumps over there. All they did was cap it with the clay cap and they didn’t put a liner in it. Is that stuff gettin’ into the water system over there? Is it in the soil from when it wasn’t capped?” wonders Smith. The spreadsheet they’ve gathered currently indicates 86 people in the surrounding blocks who’ve had cancer and other ailments. 52 have died. Of the 86, 54 people have had cancer. The group has more questions than answers at this point. The group has started a Facebook page to corral the conversation and talk over their research called Westside Cancer Crisis. Smith says if anyone has questions, information or relatives to add to the list, to please email him or his cousin, Jammie Danner at [email protected]. “We’re just trying to figure out what’s going on over there? Was my dad’s life gone in vain? Was other people’s in our family gone in vain, you know? Can we save someone else?” asks Smith.